Any homeowner that has ever had to replace a floor has felt that familiar feeling: Where do I begin? From weighing hard surface versus soft surface options to selecting among all the styles, colors and textures, the entire process can feel a little overwhelming. But when you break it all down, the task becomes a lot more manageable and can even be fun! One great way to get the flooring answers you seek is to ask yourself some thoughtful questions about what floor will work the new floor within the greater scheme of your home. Using the 6 questions below, list your responses as accurately as possible. By the time you have answered each, it will be much easier to decide on a flooring option that you will love and that will serve your home the way you need it to. 1. What room is your new flooring going in? Depending on your home life, some flooring options are better fits for specific rooms. 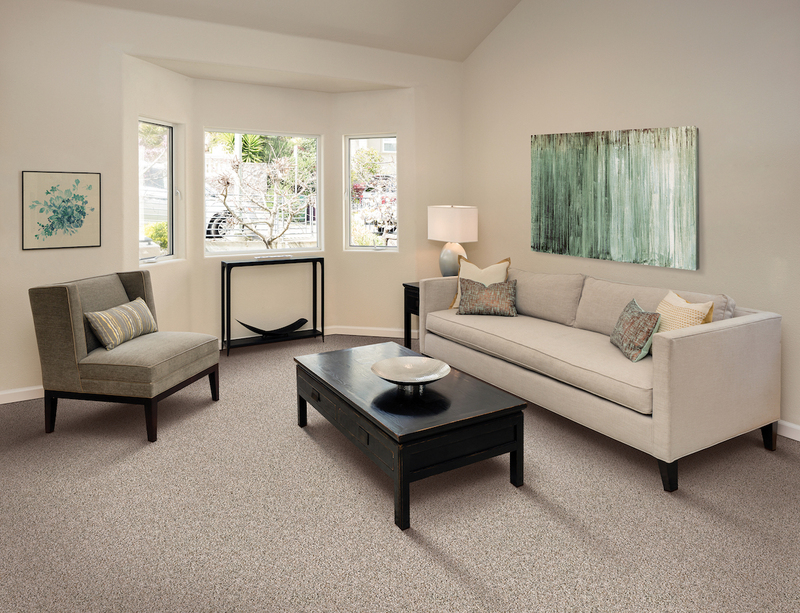 Not all carpets are a good fit for high-traffic areas, but all residential carpets are a great fit for bedrooms. 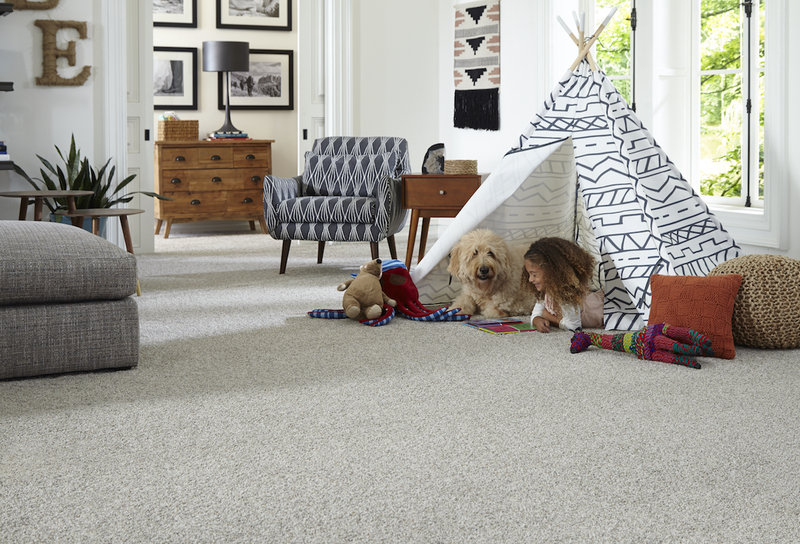 If you want new carpet in the room you are planning for but have kids or pets, you will want carpet with high stain resistance and durability. Tile is a great fit for rooms like kitchens and bathrooms that will see moisture and need water-resistant or waterproof flooring. Wood is a better choice than carpet for rooms that need to accommodate a wheelchair, walker or cane. The room and its use will be the first question you need to answer. 2. Are allergies a major concern in your home? While allergens are everywhere, some flooring choices are better than others at helping diminish their presence. Did you know that carpet can actually improve symptoms of asthma and allergies? That’s because carpet acts as a passive air filter, trapping dust, pollen and other particles, removing them from the breathing zone. All you need to do is remember to vacuum those allergens out of your carpet on a regular basis to improve your home’s air quality. And recent innovations have made soft flooring options even easier to clean. 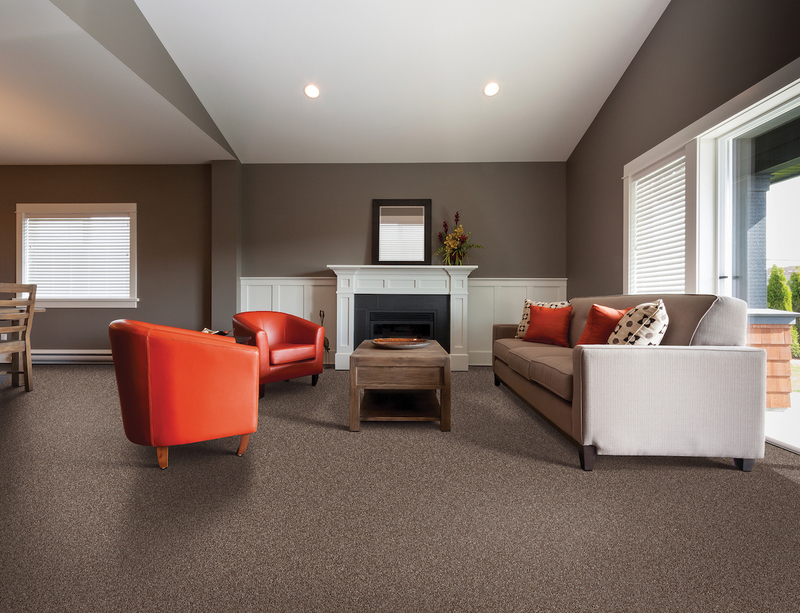 Air.o is a new hypoallergenic soft flooring from Mohawk with a unique construction that provides better airflow, releasing more dust and dirt with every vacuum. Your flooring can fight for you in the battle against allergies! 3. How will the new floor impact your current home design? If you’re worried that your new floor could affect color schemes and decor options down the line, there are strategic color choices you can make that will ease your concern. Right off the bat, always remember that neutral colors will match the widest range of decor. You can always add or remove bold style elements like bright area rugs or quirky, fun furniture pieces to change the feel of a room. If a room feels cramped to you, a lighter colored floor can make the same space seem larger and open. Similarly, a darker colored floor can make a room feel more warm and cozy. 4. How does the new floor coordinate with the rest of the flooring in your home? Don’t shy away from a new surface just because the rest of your home has a uniform type of flooring. Your new floor can complement the overall layout even if it has a different texture or is a new category altogether. Work with one of our designers to create a blended feel that transitions well throughout the home. Don’t be afraid to explore different patterns and choices that you may never have considered. 5. Is the new floor easy to maintain and care for? Every new floor you purchase is an investment, and like most things, proper upkeep will ensure that you get the most out of your investment for as long as possible. Solid hardwood floors might need to be refinished over time. Carpet needs to be professionally cleaned at least once a year. If you have an active home and find yourself pressed for time, it might be better to choose a surface that cleans quickly like laminate or LVT. 6. Are there any additional costs that your new floor may create? Our team will work with you to identify any additional costs of your project. Some flooring products can be installed over irregular subfloors, but other types like rigid hardwood planks will require a precisely flat surface. Will the trim and thresholds need to be replaced once the new floor is finally installed? Small costs can make a difference if your budget is already tight, but we will work with you to create the perfect plan for your home and budget. The best approach to picking out new flooring? Have fun. Enjoy trying out different looks to see how they can alter and inspire your entire home. These questions are a great starting point to help you choose flooring that balances your needs, wants and budget requirements. Need more advice? Give us a call!